Radial, a multinational e-commerce company based in King of Prussia, Pa., provides order management, payment processing, order routing, fulfillment, and analytics for companies like Godiva, GameStop, DSW, and Shoe Carnival. It had functional call recording software, but as its needs and the needs of its customers continued to expand in the quickly growing and evolving e-commerce world, the legacy system was quickly reaching the end of its useful life. Radial knew it needed to find another, more advanced solution to keep its customers, and their end customers, happy. “Our old call recording software had limitations around audio recording analytics and external data sources,” says Nicole Price, Radial’s customer experience manager. Call recordings offer rich data for clients about their end customers, but the legacy software’s capacity and analysis limitations meant that Radial could use less than a third of the available data. “We are always looking for ways to be more innovative in our use of data,” Price recalls. Radial also wanted to be able to incorporate data from Saleforce.com and other outside resources, including information gathered from direct interactions with end customers. Scalability was another key feature Radial wanted in a new call recording solution. Due to the nature of its business, Radial’s activity typically spikes during the holiday shopping season. Radial considered a number of solutions but ultimately selected the Calabrio ONE solution, a full suite of call center products for call recording, quality management, workforce management, analytics, and advanced reporting. Additionally, Calabrio worked closely with customers to develop the Calabrio ONE product road map, according to Price. Upgrades occur often, enabling Radial to keep up with evolving analysis capabilities and customer needs. Some competitor solutions take more of a “waterfall” approach, with less frequent and more complex upgrades rather than smaller, more frequent upgrades. The latter approach “allows us to thrive,” Price says. Radial started deploying Calabrio ONE at the beginning of 2017 and is continuing to build out unique integrations, depending on customer needs. Some customers want to partition calls by type; others want to have customized phone trees, while still others have other requirements, Price says. Calabrio ONE allows for full customization. The results to date have been outstanding, Price says. Calabrio’s Sentiment Analytics feature has provided improved customer experience results for Radial’s end customers, according to Price. 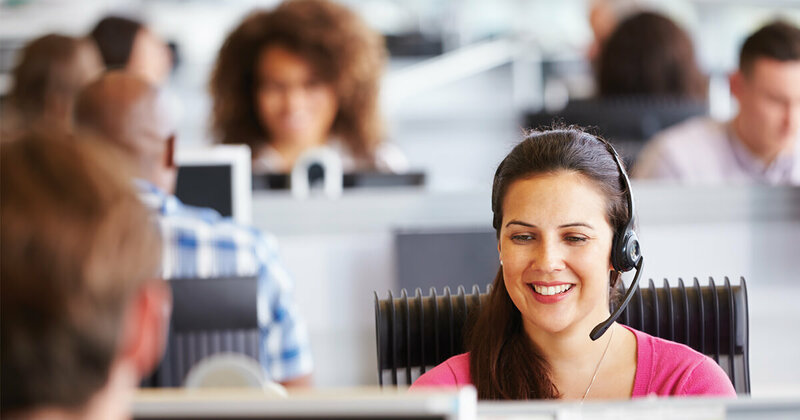 One customer enjoyed a 4 percent improvement on customer satisfaction, a 2 percent improvement on customer effort score, 1 percent better first-contact resolution, and 1 percent enhanced agent knowledge score. Additionally, using Calabrio ONE, Radial’s call recording and storage has increased by 20 percent, enabling the company to better identify and remediate customer compliance concerns across multiple channels and clients, according to Price. Cost savings has been another benefit from the Calabrio ONE implementation. The cloud-based solution has provided a six-figure savings for storage compared to the previous on-premises solution, according to Price. In the future, Radial expects to integrate Calabrio’s predictive quality analysis and to incorporate other sources of customer fulfillment data to further enhance the customer journey from initial inquiry through order fulfillment. Price says that enhanced analytics will enable Radial to build out new dashboards for customer service representatives to further enhance their performance. a 1 percentage point increase in customer satisfaction.